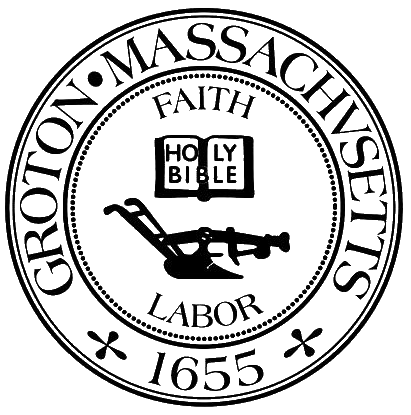 Dog owners are responsible for registering dogs that reside in Groton with the Town Clerk each year between January 4th and February 29th, as required by Mass General Law Chapter 140: Section 137. View the fee schedule for current dog registration fees. Mail: Mail this downloadable form, with a self-addressed stamped envelope and a check made payable to “Town of Groton” to the Town Clerk’s Office (173 Main Street). The dog license will be sent by mail. In Person: Stop by the Town Clerk’s office during regular business hours. A dog tag will be issued while you wait. On-Line: Dog owners can access the online payment system by accessing here. Pick the appropriate dog registration from the Activity drop down. When using on-line registration, you will be asked for your dog’s particulars and payment information. You may pay be checking account or credit card (except VISA). Payment information is routed to a secure payment center. Credit card use is assessed a convenience fee of $2.50 by the credit card company. The Town Clerk will mail you the dog license. In order to use the on-line registration option, your dog’s rabies information recorded with the Town Clerk must be current. Spay / Neuter certificate (copies only)? Payment to the Town of Groton?